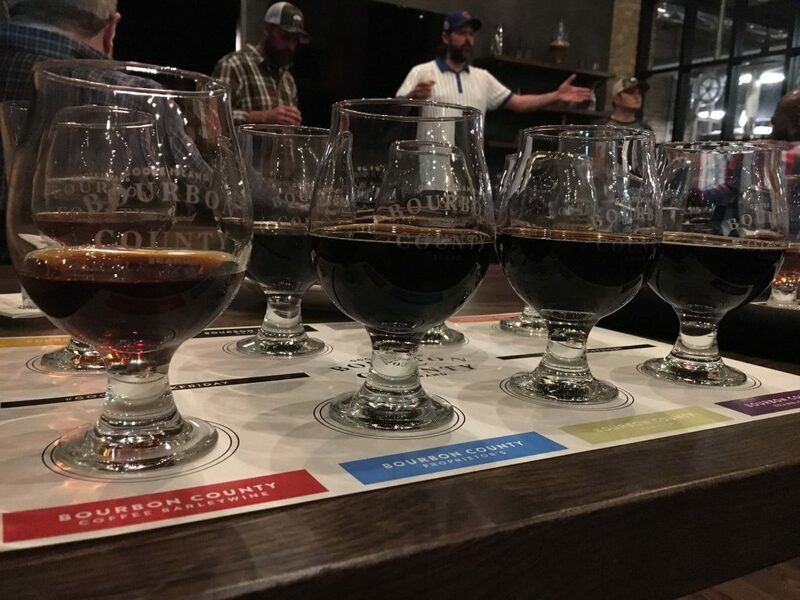 Seven of the eight Bourbon County 2018 bottles (Proprietor’s had just left the brite tank). 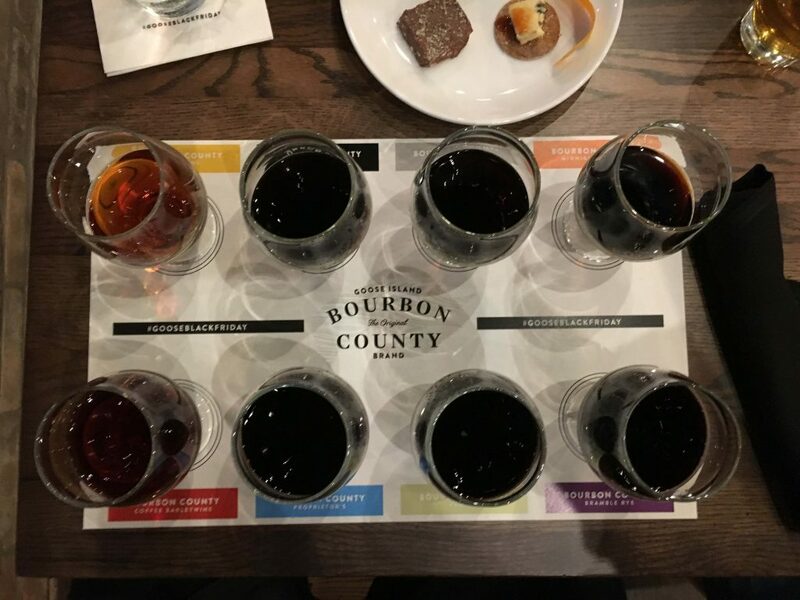 We were fortunate enough to be invited by Goose Island to try their upcoming 2018 Bourbon County Brand lineup, featuring the most Bourbon County beers ever released by Goose Island in one year (a big thanks to Goose Island and all that were involved for this). 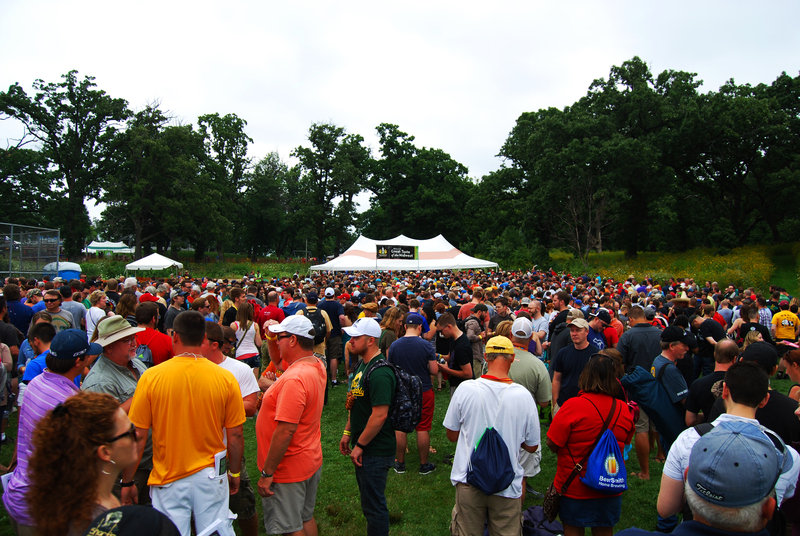 With the increased amount of options, some people might be wondering if the quality of the beers suffered. Let me assure you it has not. 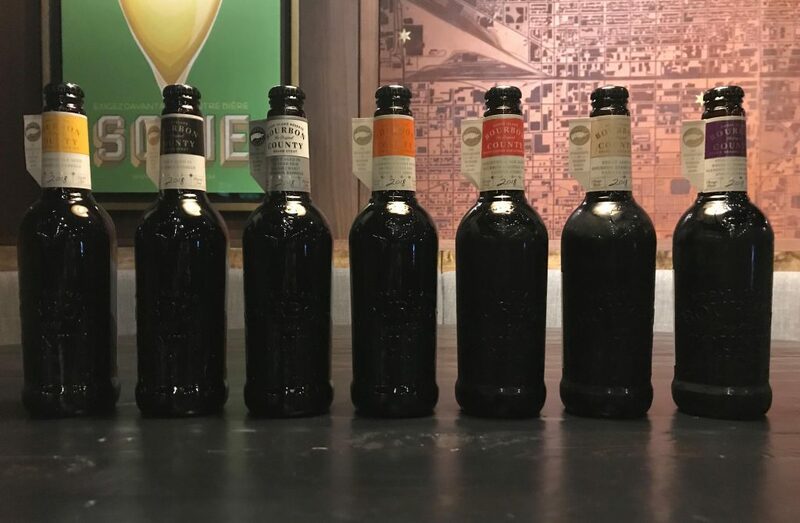 This might be the best lineup of Bourbon County since the amazing 2013 line up, which featured regular, barleywine (in third use barrels), coffee, Backyard Rye, and the first Proprietor’s (coconut). Even with two “retro” releases, the beers stand out. These rankings are based on how they were tasting when I had them, but I will mention aging in my assessments. This was the last beer we tried at the tasting and will certainly be the most polarizing. A re-done version of the 2011 one featuring blackberries and raspberries aged in rye whiskey barrels, this one’s gonna need some time. Tons of jammy fruit on the nose with almost no bourbon burn then lead into some red wine tannins, mainly coming from the fruit skins. The fruit was added in a secondary tank, then recirculated and centrifuged. Much like two of the previous fruited variants (2011 Bramble Rye, 2012 Cherry Rye, and 2013 Backyard Rye), the fruit overtakes the base beer, with very little of the chocolate, vanilla and oak coming through. If it melds with the base the same way previous fruited versions have, this will be one of the better variants when all is said and done. Just give it a year. 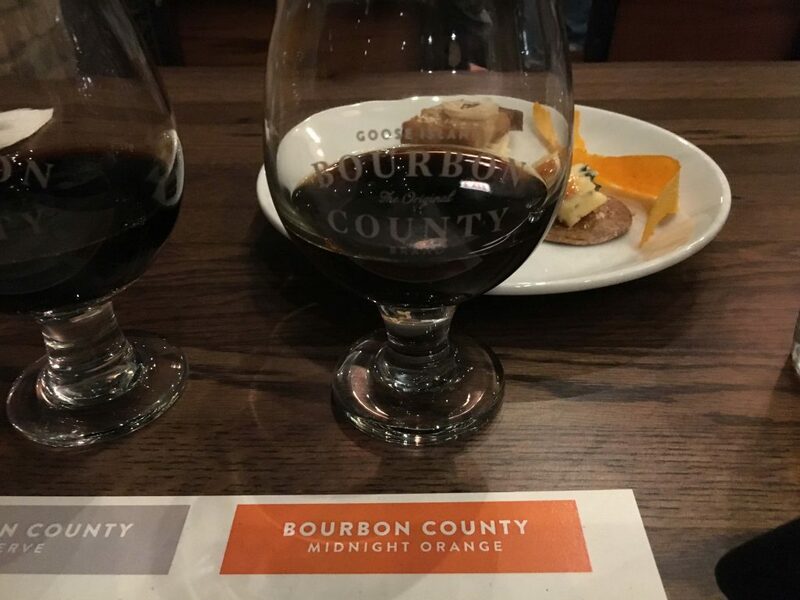 Actually second in the tasting order, the original Bourbon County Brand Stout is very boozy out of the gate, much like many of the recent vintages. Tons of brownie, chocolate, vanilla, oak, and leather are present, and the alcohol content (15%+) is higher than in previous years due to hand mashing the grain and using a mash filter. (Most of the lineup was above 15%, making for a really fun night!) 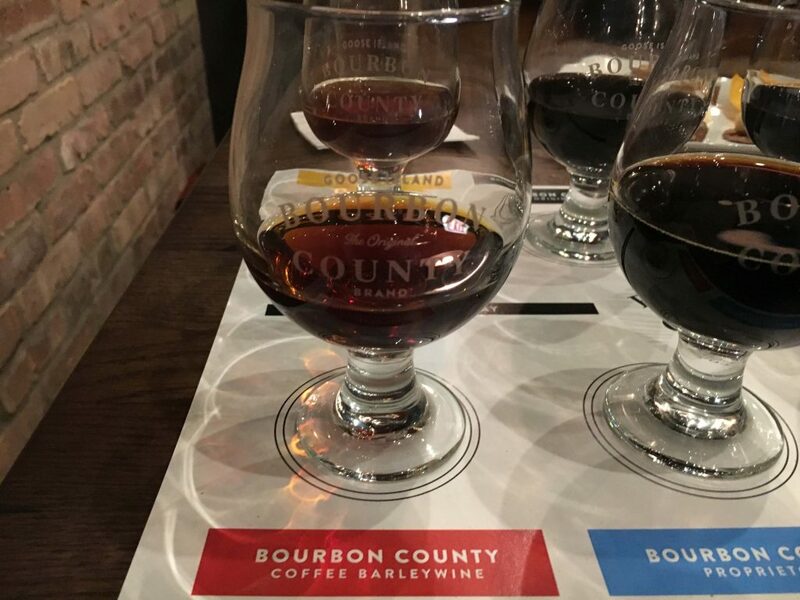 Unlike previous years, all Bourbon County beers this year use a blend of 75% Heaven Hill barrels and 25% Buffalo Trace, with all barrels having held the spirit for four-plus years. 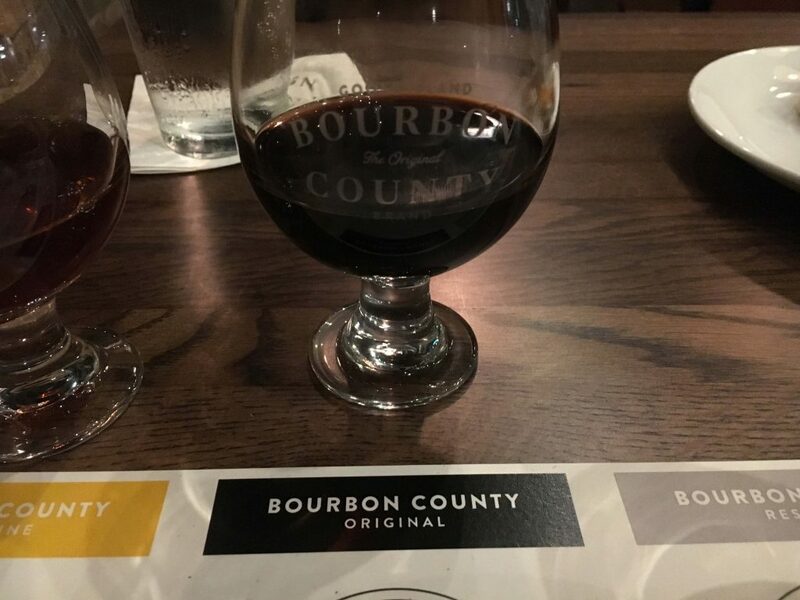 It was standard Bourbon County going down, with chocolate, vanilla, leather and oak (just like the nose said it would! ), but, to me, this year’s was too boozy, had a thin mouthfeel, and some bitterness (more like a bitter chocolate than hop bitterness). I’m hoping that aging this allows the booze to calm down a bit and meld with the base beer, which could make it one of the best vintages. Here comes the outrage and comments. Was this year’s vanilla really, really good? Yes. Is it going to be highly valuable in trade and secondary markets? Almost assuredly. But man is it a vanilla bomb out the gate. The base does creep through with some chocolate and bourbon, but it’s all vanilla, marshmallow and ice cream. They used Madagascar vanilla beans and shredded the inside as opposed to aging the beer on the beans themselves, and the beer is better for it, as it’s not too sweet. 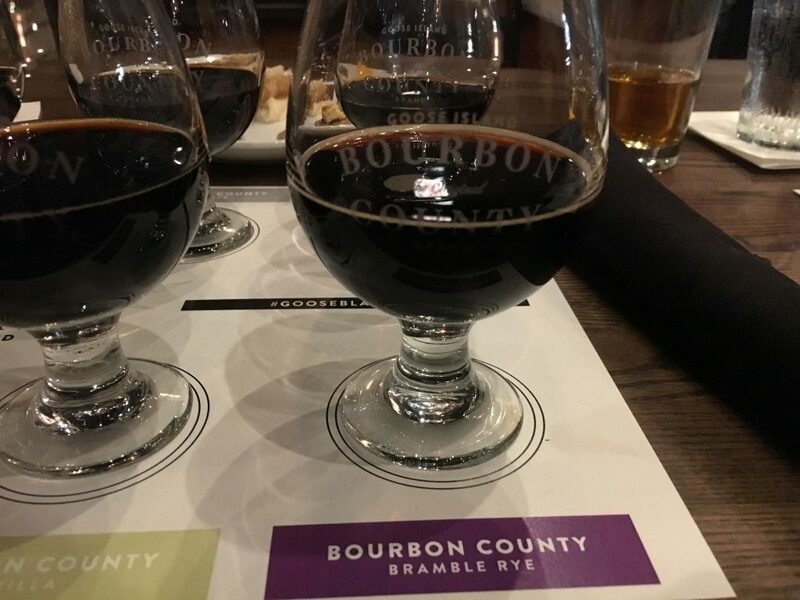 I recently had Firestone Walker’s Parabanilla, and the vanilla in that was more what I would like the Bourbon County to be – tons of chocolate and vanilla/marshmallow, but in balance. If you like vanilla bombs, this one’s for you. If you don’t, this is one of the better aging beers to have, as the vanilla will hopefully die down a bit and then you’ll be left with a nice bourbon county ice cream flavor. This is Goose Island’s take on a favorite of mine – the triple chocolate cookie! Their idea was to amplify the existing chocolate inherent in Bourbon County (one) with 55% dark chocolate from Theo’s (two) and cocoa nibs (three). Some of the same chocolate was used in Midnight Orange, but the quantity in this was greatly increased. All in all, 12 pounds of chocolate and nibs were used, while the beer sat on it for a month. The nose bristled with vanilla and dark chocolate, with some slight peppery notes. It tasted as you would expect – a shitton of chocolate. All three chocolates could be perceived, with the dark chocolate being the dominant one. Bourbon was present, and the beer finished unusually dry. 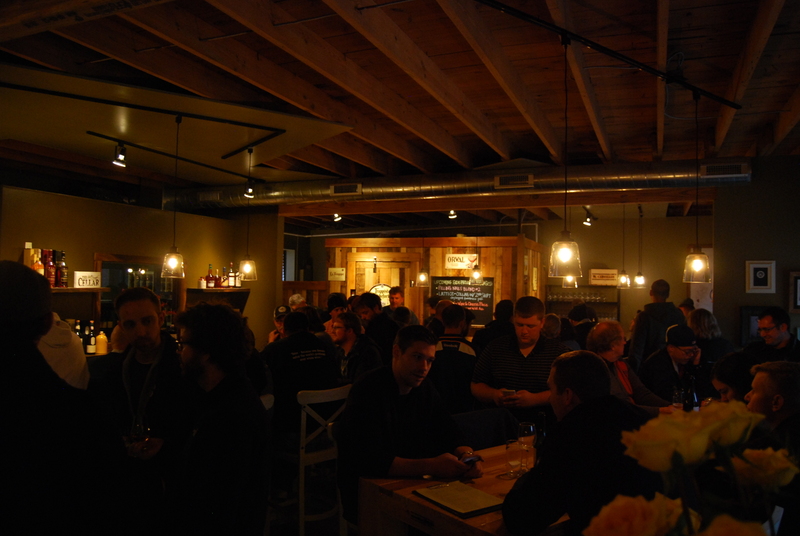 Of note was that we tried this Proprietor’s tank-fresh (basically), as growlers were filled about 4 hours before the tasting. People will definitely want this and it was very good, it just seems like they could do something a bit more than amplifying the chocolate so much. 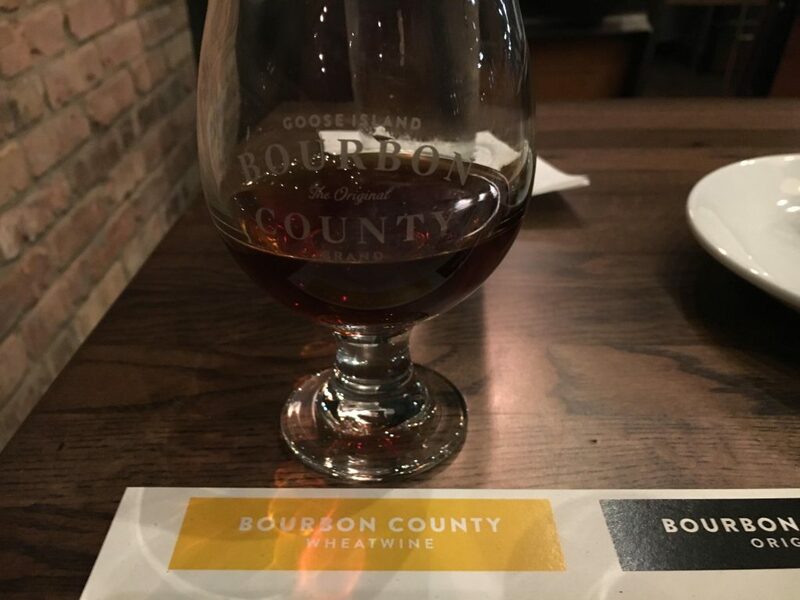 Basically the replacement for the standard barleywine, the Bourbon County Brand Wheatwine (BCBWW?) has been in the making for a few years now. 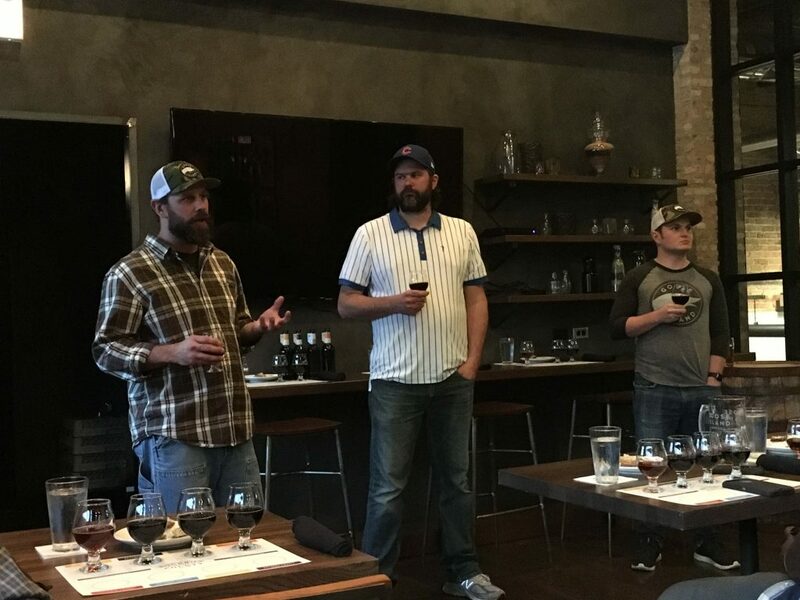 Brewer Tim Faith did a small batch of it, aged it in a small bourbon barrel, and tasted it out to everyone at Goose Island as proof of concept. It obviously impressed the brewers as it did with me. A very simple recipe of 2-row, malted barley and wheat, this 15.4% behemoth looked a lovely red/crimson with dark fruits, twigs, and brown sugar on the nose. Surprisingly the wheatwine was not too alcoholic, instead allowing some sweet caramel and toffee to take center stage (tongue? ).The bourbon served as a nice complement to the base, adding some oak, vanilla, and chocolate to the beer. A really damn good beer that will probably get overlooked with some of the more sought after variants, which should make it easier to get. 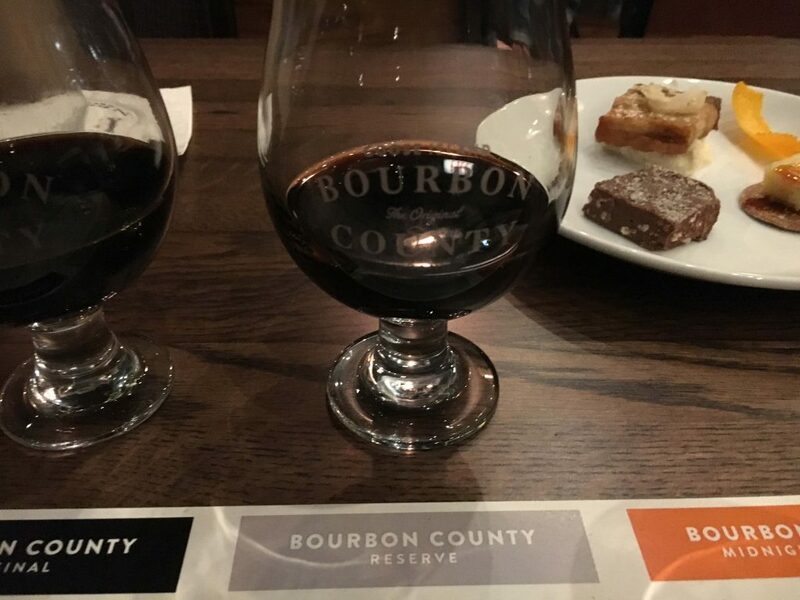 What started as a Goose Island employee hooking up the wrong keg to the coffee randall at 2013 FoBAB has turned into a legitimate Bourbon County variant. This version uses strictly hard Guatemalan beans from a farm 1400 meters above sea level called, fittingly enough, bourbon (pronounced bur-bone in the native tongue). The barleywine is a bright crimson color with a lovely medium roast nose with some caramel, toffee and dark fruits. Upon sipping you are greeted with the best of both parts – sweet caramel, toffee, cherries, and raisins from the barleywine and some fruit and a nice, smooth amount of coffee. The bourbon barrels provide some heat and small amounts of vanilla and oak, but the balance of flavors and overall smoothness of the beer made this one a surprise hit in my book. Just like last year, it really helps to have the Reserve back-to-back with the regular. Aged in 12-year old Elijah Craig barrels (that subsequently won Whisky of the Year from Whisky Advocate), this is exactly the same as regular Bourbon County except for the different barrels. And it really makes a difference. The Reserve is less boozy on the nose, with more chocolate and even a hint of spice. The biggest difference is in the mouthfeel; while I thought regular was on the thin side, Reserve has that thick, molasses across the tongue mouthfeel that I really like in a barrel-aged stout. The booze heat was quite reduced, and I was getting more fudgy chocolate and vanilla while imbibing. Only available in Chicago, Kentucky, New York, and possibly the Philadelphia brewpub (according to the Goose Island people at the event) so keep an eye out for it! I was the most excited to try this one. It easily could have gone off the rails. Too much chocolate, too much orange, not enough orange, too boozy. It was none of these things. Brought to trial by Paul Levens, this was meant to evoke the orange chocolate candies he would break open and eat when he was a kid. Using cocoa nibs from two different suppliers and Spanish orange peel zest (navelina oranges), this struck a delicate balance of chocolate and citrus. The nose reminds me of a gourmet/fancy/craft dark chocolate candy bar with a hint of orange along with the standard Bourbon County notes of vanilla and oak. The taste is identical – dark chocolate with a kiss of orange. Not too boozy and not too sweet, this beer was ready lovely to drink right off the bat. A very pleasant surprise. 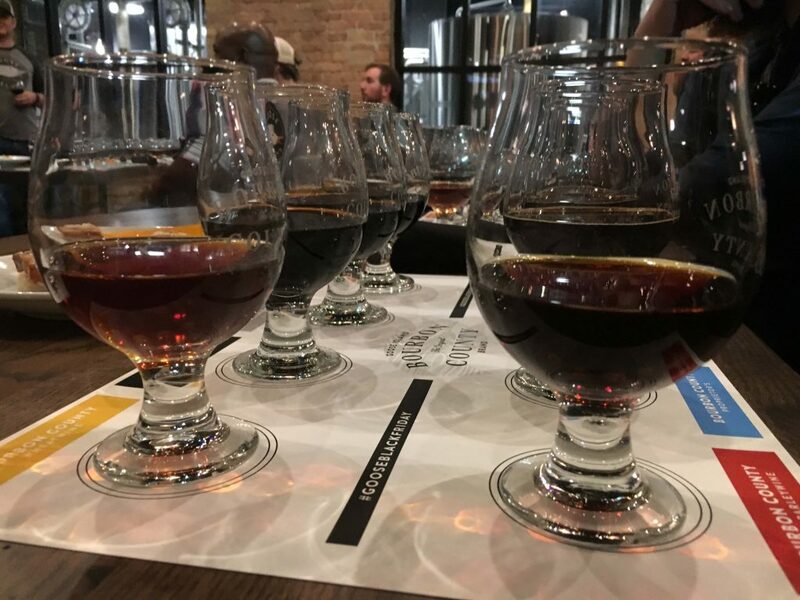 Goose Island trolled the beer internet by submitting labels for Bourbon County variants that didn’t exist (such as Horchata and Neopolitan). In honor of their trolling, I attempted two blended Bourbon Counties meant to mimic some ice cream flavors. All were done with a 1:1 ratio. Blend of Midnight Orange and Vanilla. There was a tinge of creamsicle on the very end of the taste, but the beginning was a mess. Nose was dominated by the vanilla. If attempted again, would go with a 2:1 blend, Midnight Orange to Vanilla. Blend of Bramble Rye, Vanilla, and Proprietor’s. Closest I could get to actual Neapolitan flavors, but with an even amount of everything the Bramble Rye dominated on both the nose and the taste. Proprietor’s was the least aggressive, so I would put in the most of that , followed by some Vanilla and a little bit of Bramble Rye. 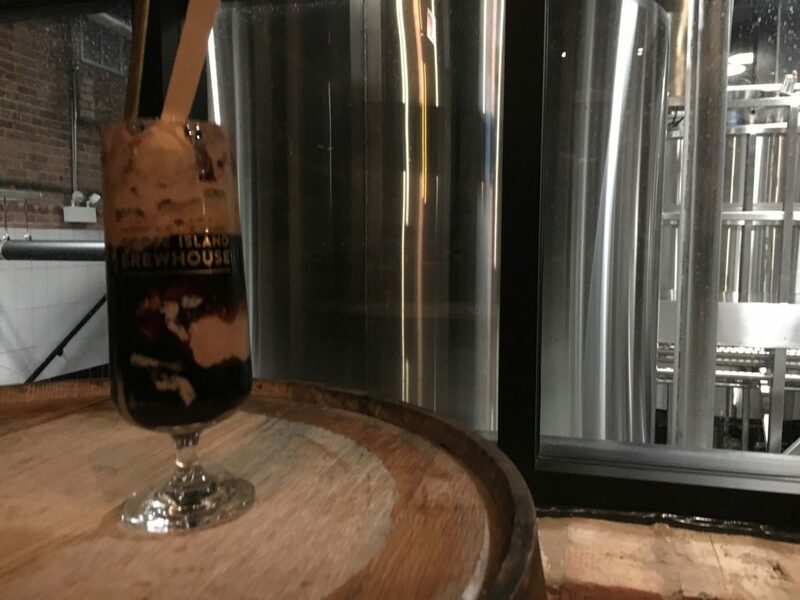 As if we hadn’t had enough to drink already, they came by with BCBS floats after we were done, with 2017 BCBS, Black Dog gelato, and whipped cream. 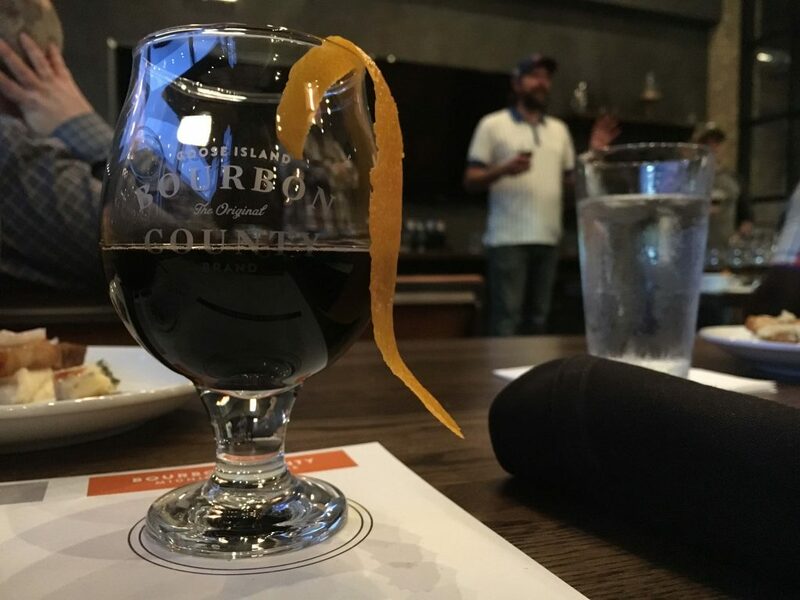 The liquid portions (Bourbon County) were at first extremely aggressive and harsh, but when the gelato melted a bit and mixed with the whipped cream, it became a decadent, alcoholic thing of beauty. Order the float and a beer at the same time, drink the beer, then go after the float when melted. Highly recommended. 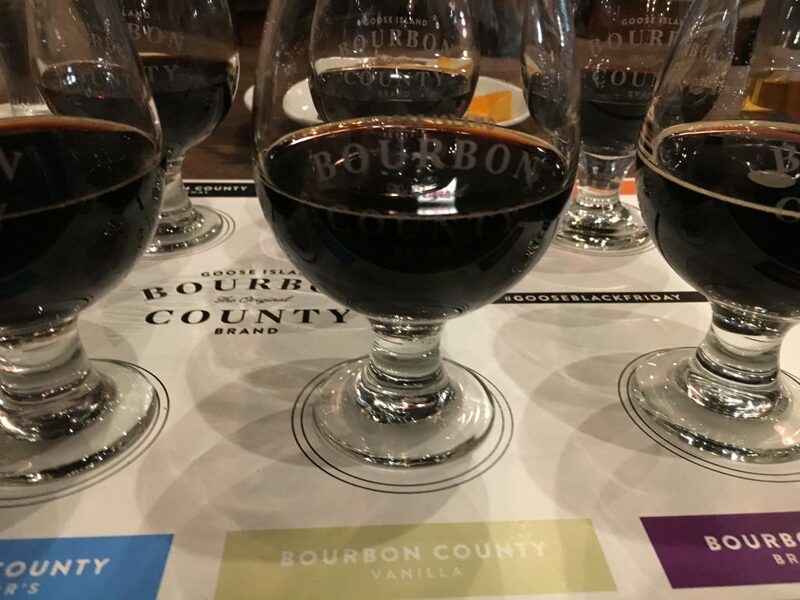 Jared Jankowski, Mike Siegel, and Paul Lievens discuss the 2018 Bourbon County lineup. I can almost guarantee your ranking order will be different then mine. 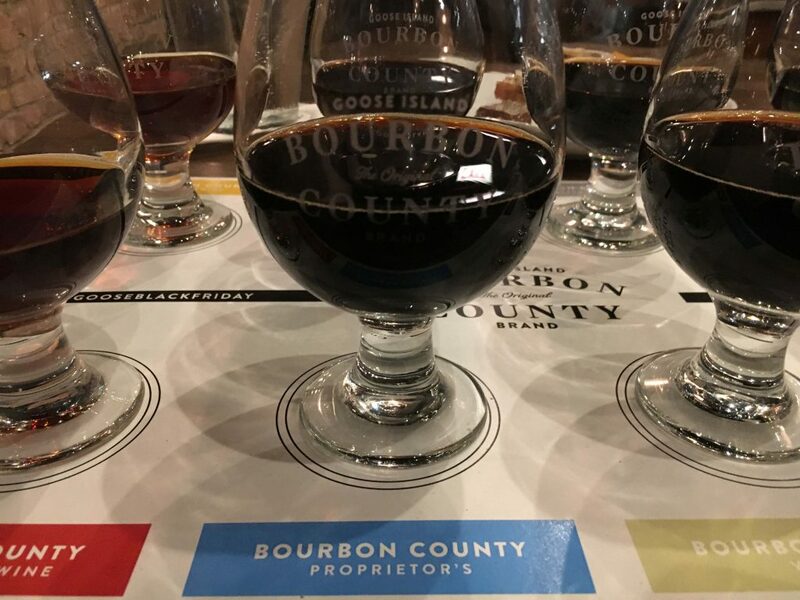 Unlike previous years’ Bourbon County beers (where there was usually one that most people did not like), this lineup is solid across the board. If you like fruit, Bramble Rye’s got you covered. Sweet your thing? 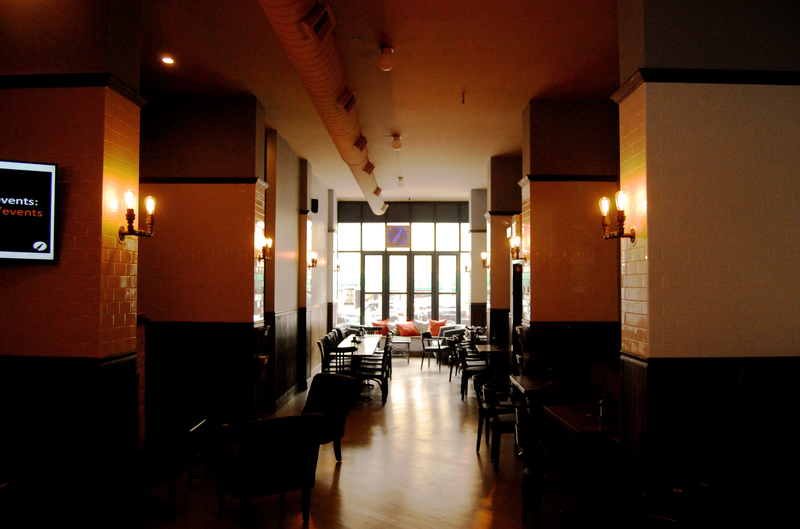 Proprietor’s and Vanilla can scratch that itch. There’s something for the adventurous (Midnight Orange and Coffee Barleywine) and traditionalists (regular, Reserve, Wheatwine). I can almost guarantee these rankings will be different in a years’ time. 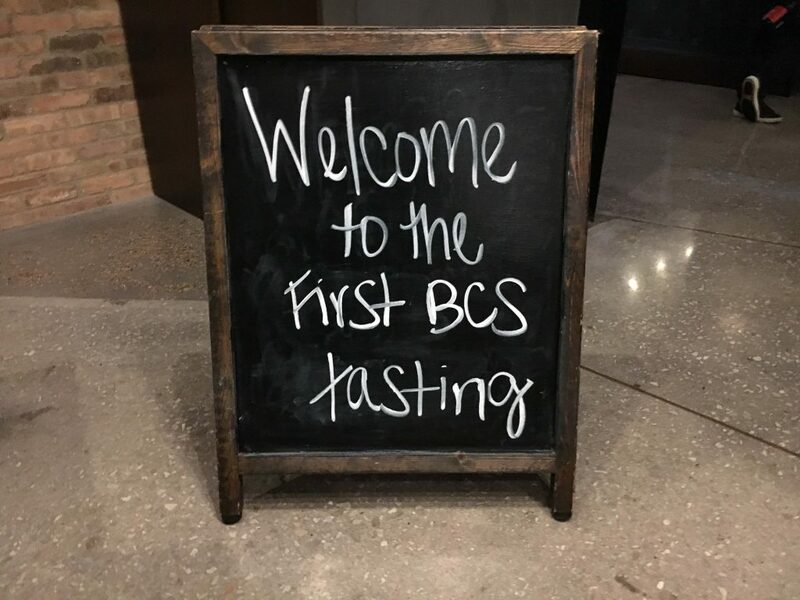 Go out, stand in line, and enjoy some of the finest Bourbon County beers we’ve had in a long time.